Support this strip on Patreon! Trumpbert is a parody of the Dilbert comic strip, satirizing Dilbert creator Scott Adams’ baffling support for Donald Trump, the quintessential pointy-haired boss. 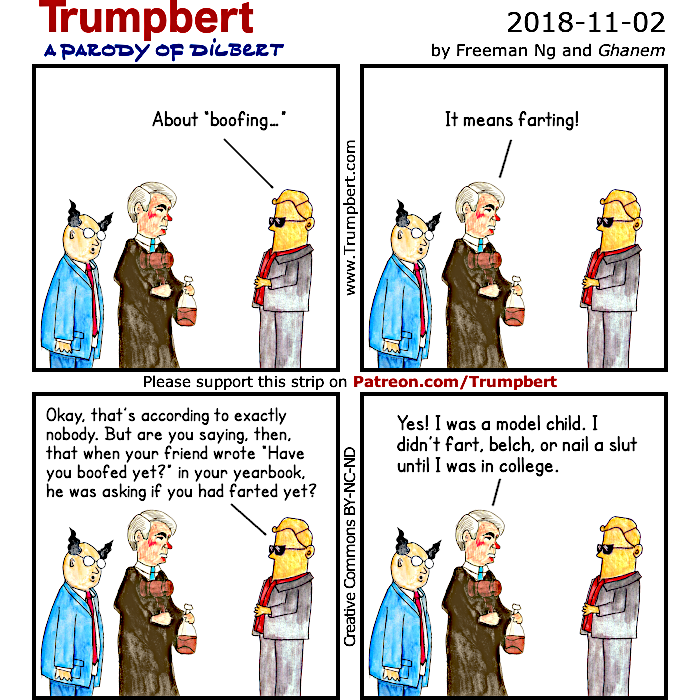 Trumpbert launched on September 17, 2018, and runs five days a week, Monday through Friday, with weekly and monthly bonus strips for select supporters. Trumpbert is written by Freeman Ng, a former Google software engineer now happily writing and creating digital art. The illustrator has chosen anonymity (for now) but you can read more about our working arrangement on the Patreon page. – The defeat of Trump and the GOP. And you can also gain access to weekly and monthly bonus strips!